Eamon Colman was born in Dublin 1957. He is an elected member of Aosdána since 2007 in recognition of his major contribution to Irish culture. His professional career spans from 1979, having created over thirty-six solo exhibitions nationally and Internationally. Most notably he was invited to host a retrospective of his work ‘Panorama: A Review’ at The Strule Arts Center, Omagh 2013; ‘Monument’ Stern Studio Gallery, Vienna 2011; ‘Before the dark gets stronger than the light’ Rua Red, South Dublin Arts Center, Tallaght, 2010; ‘Remnant’ The Cecille R. Hunt Gallery, St. Louis, USA, 2008; ‘Salt River’ The Oriel Queens Hall Gallery, Wales 2010 and 2006; ‘Breath of the River’ Galleri Caernarfon Cyf, Wales 2007. A major mid term exhibition of his work ‘Post Cards Home’ was held at The R.H.A. Dublin in 1996 accompanied by a Monograph by Brian McAvera, ‘Dreams From The Lions Head, The Work of Eamon Colman’ by Four Fields Press. 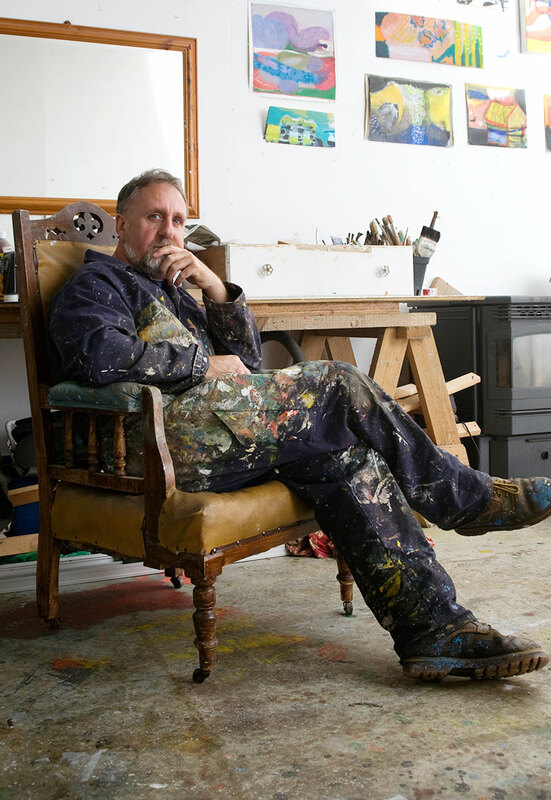 He exhibited on a bi-annual basis in the Rubicon Gallery, Dublin from 1990 to 2003 and from 2004 until 2018 at Hillsboro Fine Art, Dublin. A 25-year retrospective of his work is featured in Profile 25 – Eamon Colman (Gandon Editions, Kinsale). His work can be viewed in his representative gallery: Solomon Fine Art, Balfe Street, Dublin 2. Niall MacMonagle, Vigil by Eamon Colman, The Sunday Independent, 13.9.15 ‘The Pleasue List’, Living magazine.